Before she was born but after she was dead, I decided that there must be a book. 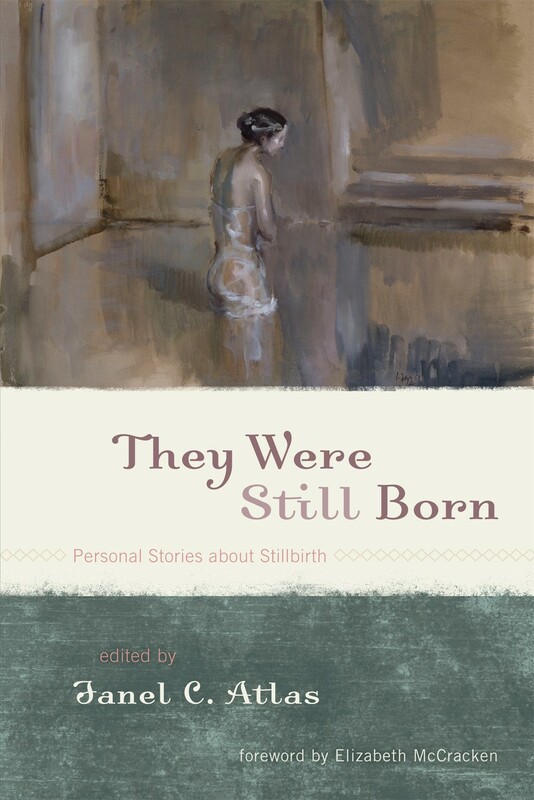 There had to be a collection of stories written by people who had firsthand experience with stillbirth in their own lives, who had stared into the abyss of burying a baby and lived to tell the tale. I sought this book, frustrated, in the library. I looked for it online. I kept thinking perhaps it would appear on a different shelf or at the top of the next search returns. But it didn’t. And so I determined to make one myself. At the time, as a successful freelance writer, I naively believed that making this book would be relatively straightforward. Yet other things—like having a baby—had seemed simple before. And they weren’t. As writers, it appeals to me, we have odd relationships with words; we commit narratives to structure, memories to the page or pixel, and words to print. Words, these tiny units of meaning, are at the same time powerful and transformative as well as transient, slippery, and erasable. When a person writes a true story, especially a narrative about a personal trauma, she confronts the profound shortcomings of language. My second daughter, Beatrice, was very much wanted, and my pregnancy had been textbook perfect for the first 35 weeks. There were no signs that anything was wrong. The doctor issued no warnings and there were no alarm bells to trigger extra precaution. Just the week before Beatrice died, the nurse practitioner assured me as we listened to the baby’s heartbeat through the doppler that I’d hold her in my arms very soon. How could I find the words to describe the throat-clenching, cold-sweat panic I felt when just one week later the doppler resounded with silence? 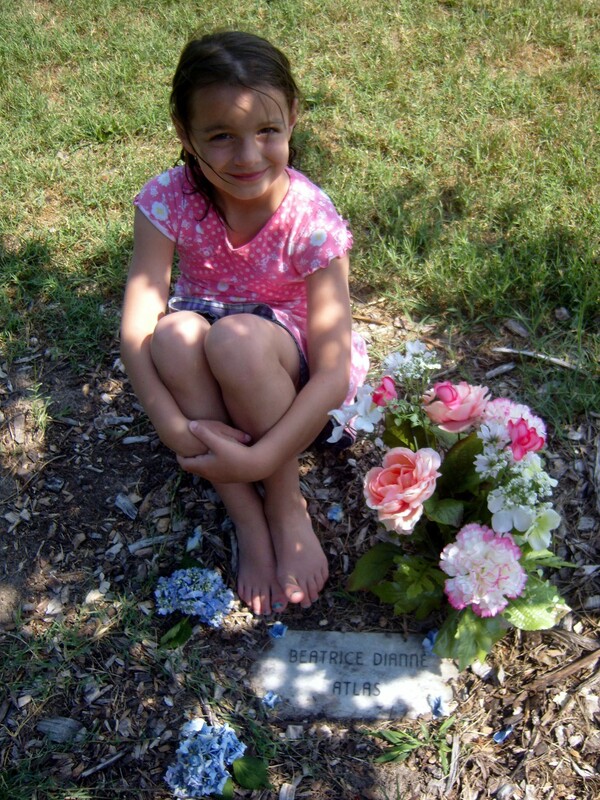 After she was born and buried, I tried to make sense of what had happened. I tried writing simple declarative statements. The doctor said he was sorry. I drove to the hospital. I called my husband. The ultrasound technician showed me the image. My daughter had died. I had to deliver her body. The words were clinical, like a forensic post-mortem. The story lost its significance, the facts subsuming the tragedy and emotion of her death. In other words, I could transcribe the timeline, but it didn’t express what I most wanted to tell. However, when I tried to capture the emotions, I careened into the maudlin, sensational, and overtly personal. That didn’t suit, either. When I tried to find words to describe her absence, psychology and spiritual terms materialized. My journal filled with language as I attempted to name the lacuna created when Beatrice’s umbilical cord knotted off and killed her slowly. I wrote about the pit, the hole, the shadow, the silence, the emptiness. But all of these various linguistic and compositional tactics ultimately fell short, even when I tried to weave them together in one coherent piece of writing. All the signifiers in the world—well written, well edited, well published—could only point to the signified: my dead baby. If Beatrice’s story had stayed bound within the pages of my diary, I could perhaps forgive myself as a writer and better accept the limitations of the account. Yet that wasn’t where I wanted Beatrice’s story to live; I wanted to share it by putting it in context and conversation with stories by other people who had also experienced stillbirth. Over the next nine months, sixteen publishers rejected the book. But in November 2009, I got word from Rowman & Littlefield Publishers that they wanted to put They Were Still Born under contract. As I worked on the manuscript throughout in 2010, I realized that I served as the mother and the midwife for these stories—mine and 20 others—and that the resulting book would be at once both living and dead. The words and stories in They Were Still Born came to life. When they were finally published, they could circulate through the world, touch and be touched, get retold, and be repurposed by others. However, in another sense, our stories died because they became closed off from our own hands; unlike in the case of a blog or a website, writers can’t update or correct a printed book in the future (unless the publisher issues a subsequent edition). Buried in paper pulp and cardboard, the published book is cut off from the writer and sold as a memento of a moment in which we no longer live. Once They Were Still Born came out, reviewers responded. Readers bought it and posted comments online. Libraries acquired copies. And people who I have never met read about the most intimate and heart-wrenching experience of my life. I don’t think of her every time I hear a baby cry. I don’t feel a pang of grief when I see a butterfly. I can pass a cemetery without immediately conjuring her face. But there are also ways in which my daughter Beatrice has irrevocably changed me, even though I do not actively grieve her death anymore. For instance, I can barely stand baby showers. Why do expectant mothers and their families and friends count their eggs before they hatch and behave as though the universe guarantees every pregnant woman a baby at the end? The numbers are stark. Every year, more than 26,000 American families and 1.2 million families worldwide suffer stillbirth. Countless more pregnancies end in miscarriage. Even now, when I look at my two living daughters, I see her ghost, growing with them. She would stand a head above Charlotte (born just ten months after Beatrice) and a head below Evelyn, who was not yet 2 when Beatrice died. Three brown-haired brown-eyed girls, a matching complete set of matryoshkas. More than eight years after Beatrice was stillborn, I no longer walk around with a gaping wound, my uterus aching. But not a single one of the 3006 days I have lived since she died has ended without her passing through my mind. The sun has not set on a single day without me wishing she somehow could have lived. 9 February 2012. Releasing a balloon. Over the months I worked on writing and editing the book, I was pregnant with my fourth baby, this time a boy. As he grew from another dream into a reality inside me, I perched the laptop on my burgeoning lap and molded words and ideas with my fingers. Sometimes people who knew about my book project asked me how I handled engaging so deeply with stories of loss while pregnant, and I understand why they asked. Wasn’t it a struggle, a morbid thing to work on when expecting another baby myself? What these people didn’t understand, however, is that writing my story and editing the other contributors’ essays for They Were Still Born couldn’t remind of Beatrice because she wasn’t something that I ever forgot. I didn’t need the book project to recall that my healthy, beautiful daughter had died inside of me, or that it could happen again. In reality, working on the book helped me to channel love for Beatrice—and even my anxiety about another stillbirth—into something useful, productive, and tangible. 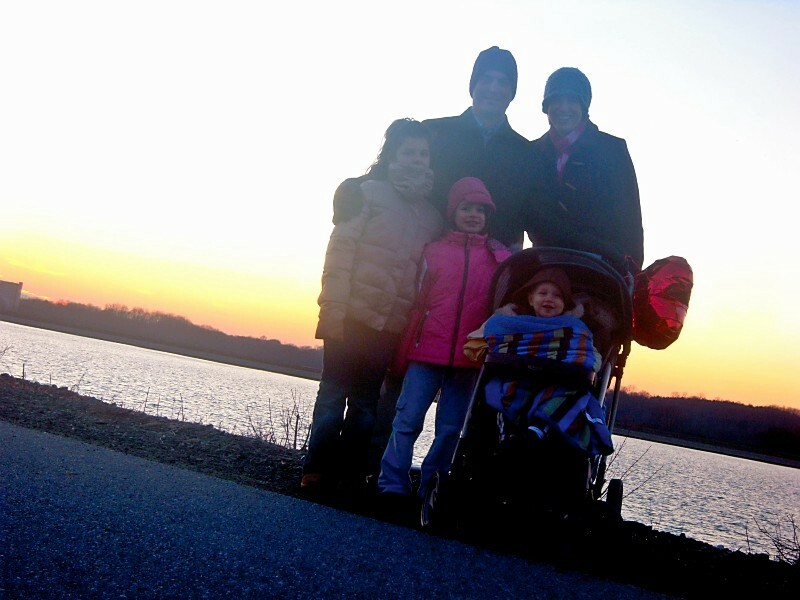 On October 30, 2010, my son, Calvin, was born in the same hospital where I delivered Beatrice. They Were Still Born was delivered to my doorstep two weeks later. It was a year of wonders. As editor of the collection, I wanted to help the writers best say what they wanted to express, not make the stories conform to some preconceived idea of what the collection should look like. Rather than creating a shape into which the essays had to fit, They Were Still Born instead creates a constellation of stories of love and grief. Each story is a pinprick, a finite story of loss. Taken together, the essays offer different narrative threads and manifestations of love from various stages of grief, which show newly grieving readers that grief and memory alters over time. The distance the They Were Still Born stories travel to us varies. For instance, one contributor delivered her son in 1966. In contrast, the most recent loss represented in the book was written by a mother whose daughter had died just one year earlier. Although Morrison writes here of novels, she views autobiographical writing and personal experiences as the wellspring for creativity. In They Were Still Born, some readers may find a story that resonates more deeply with them than others; I chose to create a collection as opposed to penning a single-author memoir for this very reason. Like other marginalized communities, people who share their stories of miscarriage, stillbirth, and infant death frequently find themselves stigmatized or judged for content that makes others uncomfortable. Even worse, our stories may get ignored or dismissed as overly-sentimental or too personal. Twenty-first century Americans don’t do a good job talking about many things, and I believe that death, especially the death of a child, is one of the hardest subjects we confront. Even though—or perhaps because—they are hard to read, the stories in They Were Still Born are significant. They give readers insight into the meaning-making importance of telling stories, and pull back the curtain on an often overlooked or misunderstood human experience. I’ve grappled with the realization that, as happy as I felt about my own essay when I submitted it back in 2010, four years later it feels woefully incomplete. 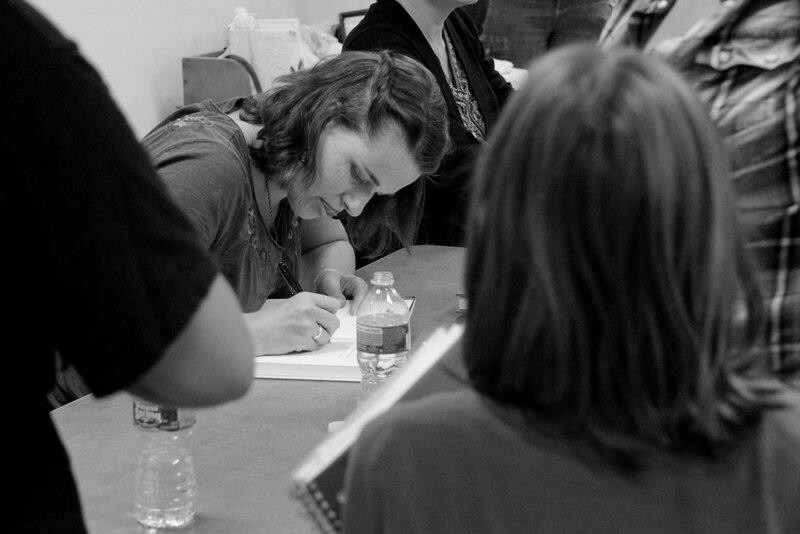 Signing books at an event in Lancaster, PA. 2011. On the occasions (mostly at public readings and presentations) when I’ve reread my story, “Standing in the Shadows of Grief,” I feel deeply the pull of the emotions out of which the essay grew. I gain access to the feelings of the pain, darkness, and loneliness I experienced when Beatrice died. The overwhelming sensation, however, is that I’m reading someone else’s story. The essay is by someone I used to know, and know intimately. I can channel her, like a wispy younger sister I pity for her youth and inexperience. I feel compassion for her, yes, because she is wounded and suffering. From her limited positionality, poised where she is on her grief journey, she is doing the best she can. But I also feel a little bit impatient with this other Janel. At odd moments, I have to suppress the desire to reject her, to commit an act of erasure. Intellectually I know that this narrator isn’t actually someone else—she is me, and the story she tells is a story we share—yet she does not know all that I know. When she stands on her paper platform, telling our shared trauma, she does it in my name, too, even though it is no longer the story I would tell. I am twice again as removed from my loss as I was when I wrote this passage (eight years out instead of four). And this realization about the “vague and fuzzy around the edges” aspect of my memories about the “particulars” is even more true now than when I wrote it in 2010. My daughter, Charlotte, born just 10 months after Beatrice died. If I were to write a new narrative about Beatrice today, I would write a different story. So I have had to make peace with the older version of my narrative. I’m learning to see it as a pinprick of light, a pure representation of who I was and what sense I made of the senseless death of my daughter at the time that I wrote it. Even though I feel a disconnect between the story as I wrote it then and the way I feel now, I still long for my daughter, still write about her and about how I remember her. Other contributors to the book have told me that they feel similarly—that they have learned an acceptance, even a love for ourselves and our stories, as we change. Grief changes us because love changes us. A prevalent theme in babyloss literature is that bereaved parents fear that others will forget their babies. 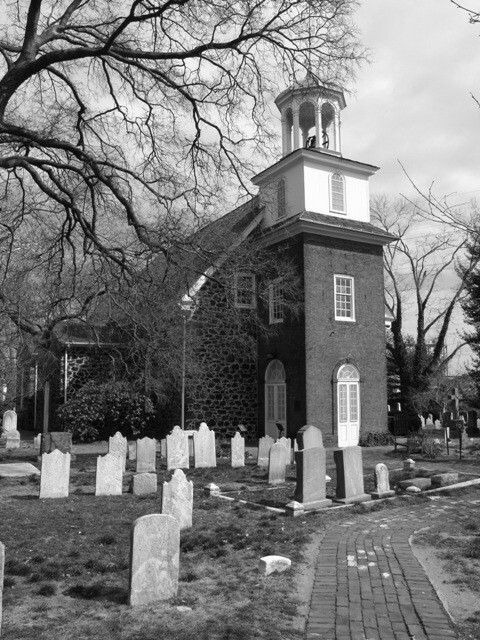 In telling and retelling stories about our dead children, we make meaning. We keep them alive, in a sense. That’s essentially what all stories do, regardless of their subject. By talking about our babies and describing how it feels to live without them, we imbue their short existences with significance. As time passed following They Were Still Born’s publication, I found myself talking about Beatrice less and less. She was no less a part of my life than before, and I still thought of her with the same frequency. But I didn’t feel the same need to talk about her absence. I did not need anyone else to validate her life or her death. She had become like the air around me or like a lyric that never quite leaves. I learned how to sit with Grief, almost as if she was an old friend with whom I’d fought but then reconciled. There’s a comfort there, a familiarity, a closeness. I have survived something horrible and lived to embrace life anew. In the ongoing process of writing about writing about my daughter’s death, it appeals to me that my daughter’s afterlife is somewhat analogous to the afterlife of my essay in They Were Still Born. Like with Beatrice, I brought into the world my best effort: a combination of experience, a product of love, and the very best I could do. I know that my story is beautiful. It is true. It is no longer under my control. And it is heartbreakingly incomplete. Even if I could go back and rewrite my story for They Were Still Born, it would only temporarily bring the narrative back into alignment with my current perspective; ultimately it would seek, again, release to the world. The story that I’m so sure I want to write today would, for a few days or weeks, feel like it expressed the essence. What I’m realizing, however, is that even if it seemed perfect when I completed it (and it hardly ever does, as any writer can attest), as time passes and I grow further from the moment in which I wrote it, the same frustrated wistfulness would creep over me. I would grapple with the inadequacy of it and start to tinker. I’d replace a word, slash a sentence, rewrite an entire passage in an effort to get closer to what I meant. As a writer, I’m learning to accept that one story can never capture both the beauty of my baby and the lifelong grief I carry over her death. (Of course, no one story can ever truly capture all of anything.) 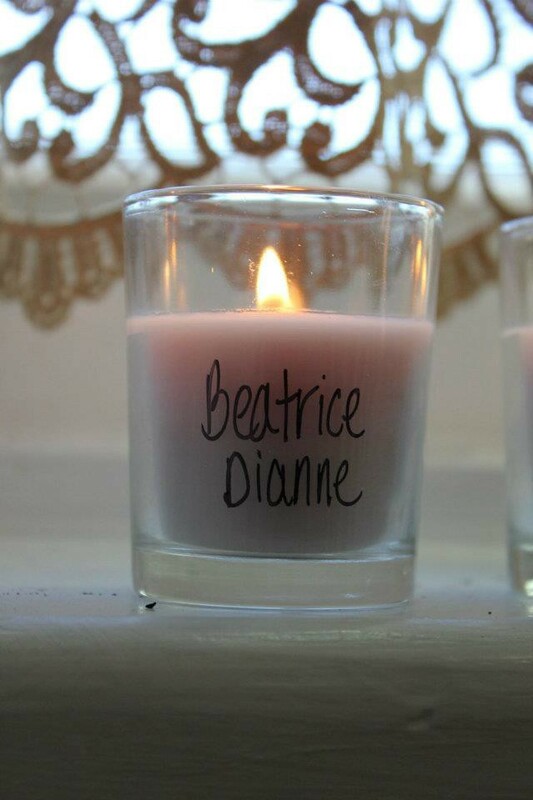 The essay I wrote about the aftermath of Beatrice’s death shows an important part of my story, but it can’t possibly express the evolving reality of life after stillbirth. And so the cycle continues: remember, reflect, write, revise, release, regret, revisit, rewrite. Unlike the stories I tell about her, I can’t change what happened to Beatrice. She is my daughter. She died. She will always be my daughter, and yet there is nothing about her short existence that I can change now. Bound by time, I can no more return to the time leading up to her birth than I can make her again a living, breathing girl. I cannot return, hold her one more time, sing her another song, bathe her, dress her. I cannot feel her movements again. I cannot live the months of my pregnancy again, this time knowing it is all the time I will ever have with her. My daughter is unattainable, except through memory and narrative, and even those means are limited and frustrating: slippery, uncontainable, unreachable. So maybe that’s why it seems so important to get the story right. Perhaps the impossibility of bringing her back is why I’m drawn, again and again, to try put into words the meaning of her life on my own life. What I can do is keep writing, trying with every attempt to better understand and better express why she matters. I feel incredibly fortunate to have wise, patient, and creative friends who are also brilliant and generous readers. Special thanks goes out to Kari L., Carolyne K., Angie Y., Jimmy M., and the entire University of Delaware 685 Digital Writing class, especially Gab V., Michael H.-P., and Heather S. Thank you as well to Joe Harris for creating the space for his students to choose both the materials and the issues they want to engage. Thanks to Joseph Harris and Kari Lindemann. 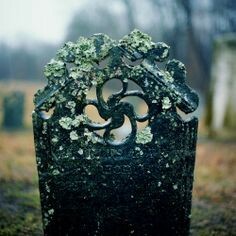 Thoughts on grief and loss. Share your stories. How did you survive your loss? What was helpful? What have you learned?